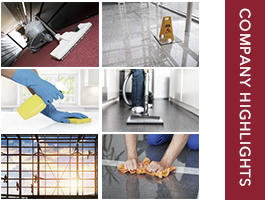 The EMS Group is comprised of trained professionals in the commercial cleaning and facility services industries, creating innovative solutions for our customers’ needs and backing those needs with quality products and personnel that lifts businesses to new heights. Executive Management Services, Inc. (EMS) specializes in commercial, educational, manufacturing and medical cleaning solutions, and also offers security, maintenance and exterior care services. Our team and expertise is backed by numerous certifications, quality assurance programs and safety initiatives. EMS is committed to sustainable green cleaning practices in an effort to provide healthier work environments. Our Green-n-Clean program meets the criteria of the Green Seal Environmental Standard for Cleaning Services and has been nationally recognized as an ISSA CIMS-Green Building with Honors organization. 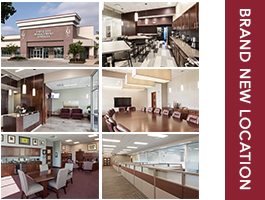 As our team grows to continue to serve our clients with the same high-quality services, we have a new corporate headquarters and location. For 25 years, EMS has proudly been committed to finding better cleaning solutions for companies all across the country. In 2014, we celebrate 25 years of the EMS Group’s quality personnel and service. Our dedicated team goes above and beyond to exceed expectations through quality service and delivery.